Stanhope, Mitsui Fudosan and AIMCo have announced that Novartis, one of the largest pharmaceutical companies in the world, has become the latest life sciences company to open a new head office in White City Place, the 1.9 million square foot business, innovation and life sciences district in West London alongside Imperial College’s White City Campus. 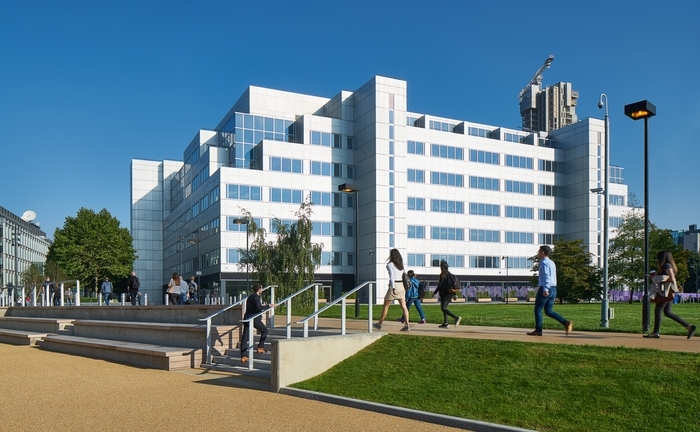 White City Place is cementing itself as an integral part of the emerging west London life sciences cluster, which has become a beacon for innovative and advanced tech and life sciences companies. Novartis will be joining fellow life sciences companies Autolus and Synthace in residency at White City Place with further announcements of other companies taking space at White City Place in the immediate pipeline. Novartis will initially be taking 54,000 sq. ft. of space in March 2019, with the option to expand further to 65,000 sq. ft., and will move in by January 2020. White City’s status as an emerging cluster for technology and innovation was confirmed by the recent NLA Knowledge Capital Report which highlighted the effect that Imperial College’s White City Campus, with its new Molecular Sciences Research Hub, had had on scientific innovation and the pioneering ethos of the area. It described White City as “one of the main life science and tech districts”, praising the interplay between its scientific research and its forward-looking companies. Underpinned by the Hammersmith and Fulham Industrial Strategy, White City Place encourages collaboration between its tenants and the wider life sciences community. With companies such as OpenCell, Rebelbio and Blenheim Chalcot all located in the borough and Imperial College a direct neighbour, White City Place is stationed at the heart of the UK’s capital of life sciences research. Other tenants at White City Place include the Yoox Net-a-Porter technology centre, the workspace accelerator for tech businesses and biotech start-ups, Huckletree West, and the pioneering tech ‘scale-ups’ Attention Seekers and Arts Alliance Media. 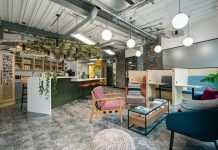 The site boasts onsite fitness complexes Studio Lagree and F45 Fitness, alongside a host of modern restaurants, bars and cafés, including Feast, Coco Di Mama and Waka. The WestWorks building is also home to ‘The Studio’, a state of the art 100-seater space equipped with the latest technology in audio and visual recording. The offices at nearby Television Centre are now 100% let with Publicis Media to move in next Spring to occupy 212,000 square feet across seven floors of 2 Television Centre. Neighbours at Television Centre include the BBC who have three working studios, ITV Studios who broadcast Daytime TV from Television Centre, BBC Worldwide, 432 residential apartments and the Soho House club, White City House. Knight Frank and Cushman & Wakefield acted for Stanhope. Novartis were represented by Cushman & Wakefield.